Mahindra & Mahindra (M&M), the country’s biggest tractor maker, has seen its market cap swelling by over Rs 100 billion since the start of the new financial year, giving it a valuation of Rs 1.03 trillion. The stock hit a new high of Rs 839 on Tuesday, showing a cumulative increase of over 12 per cent since the beginning of April. The only visible trigger for this price increase is the forecast of a normal monsoon by private forecaster Skymet, as well as the India Meteorological Department (IMD). Even though the company’s tractor division (farm equipment segment) is much smaller in size, roughly half in revenue compared to the automotive segment (SUVs and commercial vehicles), an improved outlook for the same has brightened up the overall growth prospects. M&M is the market leader in domestic tractor segment with a 43 per cent share. The company's profit before interest and tax (PBIT) from the farm equipment segment rose 31 per cent in FY17 to Rs 25.62 billion while the same from automotive declined over 17 per cent to Rs 21.62 billion. The automotive segment revenue during FY17 stood at Rs 272 billion. The EBIDTA margin of the farm segment at M&M was much higher at 19 per cent during FY17 compared to just 9 per cent for the automotive business. The gap, according to research reports, is projected to remain at similar levels in the near future. Jefferies, an equity research firm, last month said it values M&M’s farm segment business at Rs 373/share and the automotive business at a much lower price of Rs 174/share, . A valuation of Rs 297/share is ascribed to the company’s investments in companies like Tech Mahindra, M&M Financial Services and SsangYong among others. The research firm has a target price of Rs 860 on M&M's stock. The company’s performance in farm segment would make one think if it had been better off in concentrating more on this segment than the automotive business where M&M has lost market share in SUVs and is no longer the segment leader (Maruti Suzuki claimed that spot in FY18). Within the commercial vehicle segment, however, the company’s light commercial vehicles were a star performer with a 20 per cent increase in domestic sales to 206,074 units last year. Pawan Goenka, managing director at M&M, said the farm equipment industry globally is more profitable than automotive. “In the farm equipment business, our profitability is higher than the global average and the same is the case in automotive business. But farm equipment’s profitability is higher due to nature of the industry,” he told Business Standard in February. He added that the company’s focus on farm equipment was no less than automotive. “In some ways, it is even more. 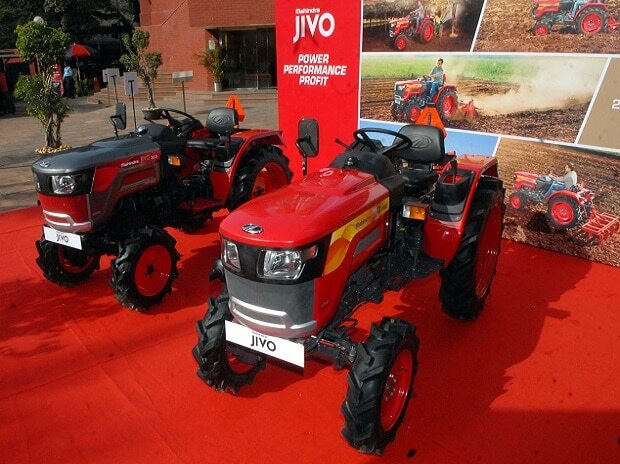 We will maintain our tractor share and focus on incremental growth through new products. Growth will also come from short-medium term growth from farm mechanisation. We have acquired companies outside that have a focus on farm mechanisation. We are world’s largest tractor maker by volume but the bulk of our business comes from India. Now our thrust is to go global in true sense”, he said highlighting focus areas for the farm segment.